3 upcoming film productions to be released in 2016: “No Blood of Mine”, “Kid West”, “Escamba: Kingdom of Carlos”. Performed in the Macy’s Thanksgiving Day Parade in 2004 and 2013. 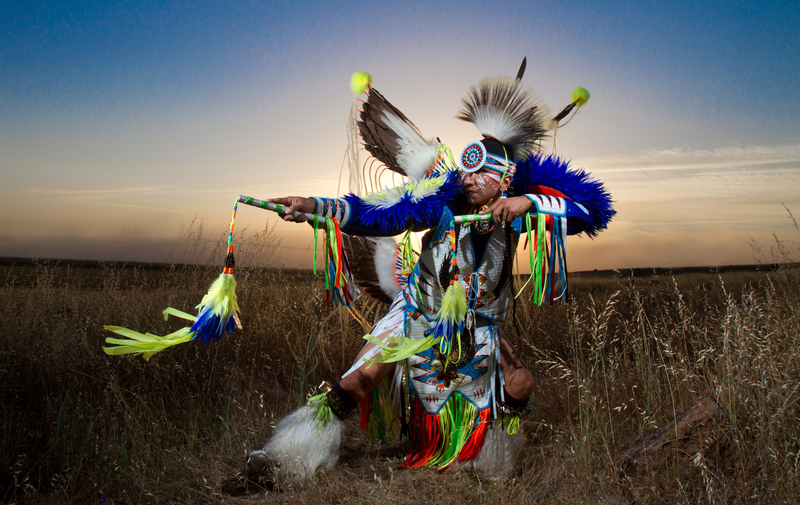 Experience the artistry of Larry Yazzie (Meskwaki) as he performs flamboyant movements passed down by his ancestors through Native American song and dance. He is a charismatic performing artist: a Champion Powwow Men's Fancy Dancer, an Eagle Dancer, a Native American Flutist, Lecturer, Master of Ceremonies, Model, Actor, and Singer. He founded Native Pride Productions, Inc., a Native American theatrical, dance, and performing arts company based in Minnesota (2003) and has performed throughout the world sharing his culture. 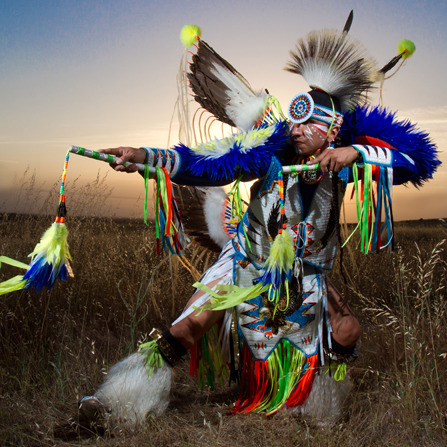 Larry is from the Meskwaki Settlement near Tama, Iowa and has been dancing since he was 7 years old. His mission is to educate, inspire, motivate and empower diverse communities to bridge cultural gaps through Indigenous traditions.